At THP, we believe that testing should be done not only by us, but also by the wonderful forum members and we have another new testing project. One of the cool features about being an active member of the THP Forum is that we look to you guys/gals, the consumers, to give feedback on equipment to golfers all around the world. Each month we send out iron sets, drivers, hybrids, putters, trainings aids and golf balls to our active members to be a part of the THP Forum Member testing. We can tell you that at the recent THP Golf Outing & Demo Day, these hybrids were at the top of the list for many golfers. You must be able to play golf (either on course or driving range). 6 forum members will be chosen to be part of this testing. If selected it will be your job to test the hybrids out frequently and update the official testing thread with feedback on your findings. You will also be asked to update Facebook and Twitter with your findings as well (minimum of 1 of the two). This is long term testing and will need updates for a period of a couple of months. At the end of the testing, the hybrid will be yours to keep. To participate you must be an active forum member or become an active forum member. Being active on THP has its benefits and product testing is one of them (monthly testing like this). If you are new, that is okay, being active is more than just tenure. To read the rest of the rules or sign up for a chance at testing the new Yonex EZONE hybrids, click here. Just another reason THP is the place to be! Another awesome testing opportunity! Thanks to Yonex and THP!! Awesome that THP and Yonex have brought this testing to us average golfers! From what I’ve read on the internet, their technology is top notch. And the styling is just as sporty as can be, it has that “right off the tour trailer” look. I mean besides the THP’ers who were at the outing, who else has hit a Yonex? Good luck to everyone that is signing up! This will be a HOT review for sure. THP and other testing reviews have helped me choose good clubs in the past! Thanks to THP and Yonex for another awesome opportunity! Another great user testing opportunity at THP. The real world feedback from these is always great. Looking forward to it! I’m super impressed Yonex has teamed up with THP for some forum testing. Yonex makes great product, but it’s hard to get reviews on them since so few people have easy access to the equipment. Look out Yonex, I bet there’s going to be a wave of requests from this testing. Thanks to Yonex and THP for putting together another great testing opportunity for THP members! I’m looking forward to the results of the Yonex hybrid testing, as my hybrid is the next club in my bag that I’m planning to upgrade. Thanks Yonex for allowing “regulars” like us give our honest thoughts about your products. It takes guts and shows how much you believe in your products. Props to you! I’m very excited and impressed to see Yonex onboard with Thp! No other outlet on the web gives raw, true feedback about equipment like THP does! What a great opportunity for 6 THP testers, thank you THP and Yonex for providing such a great hybrid to the reviewers. Looking forward to reading about the Yonex EZONE. Looks like a great hybrid. I threw my name into the hat for testing. I really want to see what Yonex is all about! I hope I get picked. I love my 2iron, but it is almost 17 years old! Time to try an update in technology! This is very exciting, with all of the new equipment we are able to test. I personally have never seen a Yonex club before, but if Monty plays them, I sure can! Looks good, looking forward to the feedback on a almost unknown brand for me. Great that Yonex and THP are giving us this opportunity! 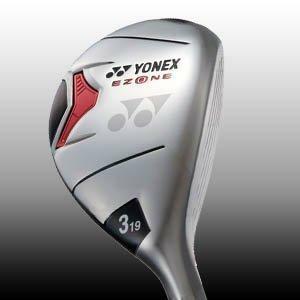 I’ve never heard of Yonex golf equipment until the THP outing. You guys have great gear. Thanks so much for allowing us to test it for you! Thanks Yonex and THP for a great opportunity to test out the hybrid. Thanks Yonex & THP….I’m really looking forward to the reviews! Hybrids are on my shopping list. Yes I will do an awesome job Testing this Hybrid . Thanks THP & Yonex,for this great opportunity. Thanks THP and Yonex for this great opportunity! I can’t wait to read the reviews. download Air France mobile software on their mobile phones. directly at all the major airlines’ individual websites that fly to your destination country. Most flights that land in this airport are direct flights.